We would like to express our heartfelt sympathy to all victims by the Tohoku Earthquake on March 11th, 2011. 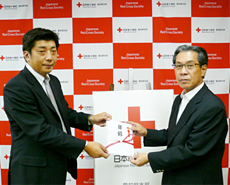 Toyotomi CSR program consisted in an immediate help towards the victims of the 2011 Tohoku Earthquake. The activities are as below. 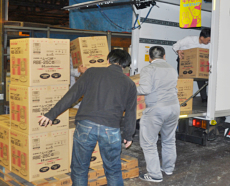 Toyotomi supported numerous tsunami victims, mainly by offering 800 units of ready-to-use portable unvented kerosene heaters which were necessary to confront cold winter period before normal infrastructure could be restored. Toyotomi held the trade show of “Tohoku Sales Campaign”. It contributed to sell 708 units in total (FF: 495 units, POT: 213 units) and we donated a part of sales amount to Japanese Red Cross Society. 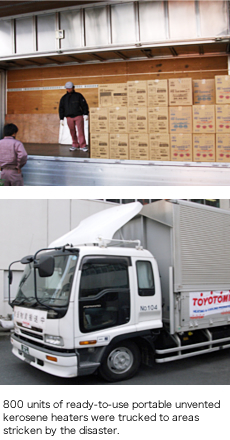 Toyotomi donated 100 units of our convective heaters model RBE-25C to Aichi Prefecture and Nagoya City for those who have evacuated from Tohoku area to Aichi by the influence of the Tohoku earthquake. We will make an effort as far as possible for restoration of Tohoku area.